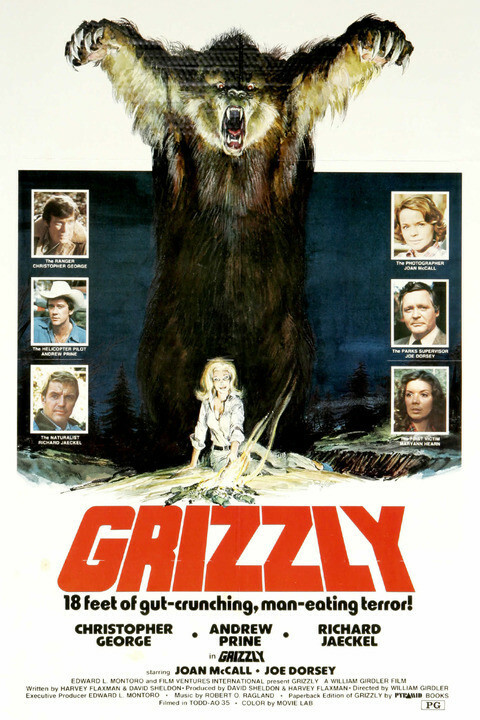 Grizzly (also known as Killer Grizzly) is a 1976 horror film directed by William Girdler, about a 15-foot tall, man-eating grizzly bear that terrorizes a National Forest. It stars Christopher George, Andrew Prine and Richard Jaeckel. 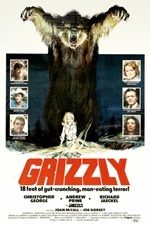 Widely considered a Jaws rip-off, Grizzly used many of the same plot devices as its shark predecessor, a huge box office success during the previous year 1975.